I know we've added a thank-you page on our site, but felt the need to put this on our opening page for now. Leslie and Andrew Ronneburg came through for us again, this year, in a very big way to help us with our hay and grain this month. I cannot believe how kind and caring these two are and will never be able to fully express my gratitude to them. The horses and the two of us thank you from the bottom of our hearts. Thank you Kelly for the wonderful donation on blankets in November, they are all in use right now and we (and the horses) love them! We are so grateful. We really need to mention our friends and supporters, Craig and Laurie. They have been here for us these last couple months with their bobcat on a weekly basis as I have been unable to pull in my big round bales due to all the mud from the endless rain. Having enough hay means nothing if you can't get it to the horses. They ask nothing in return and simply show up when we need them, that's truly priceless! 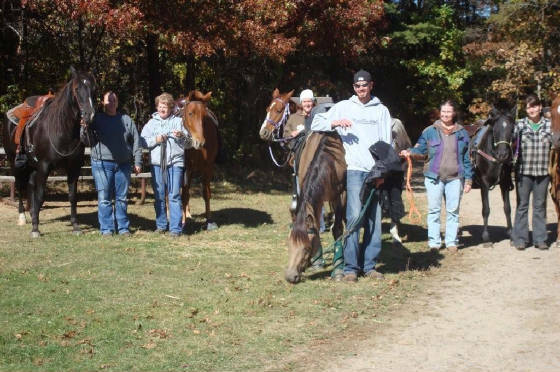 Want to give a huge Thank You to the Riverside Trailblazers Saddle Club! They contributed a very generous donation to our rescue at Christmas time; instead of doing a gift exchange with each other. The timing could not have been better and we thank you from the bottom of our hearts. Now that it's springtime, I really need to thank those that helped us get through the winter. I don't know how we could have done it without the help of hay donations from our good friends, Rick and Jen, as well as the Benders of South Dakota. 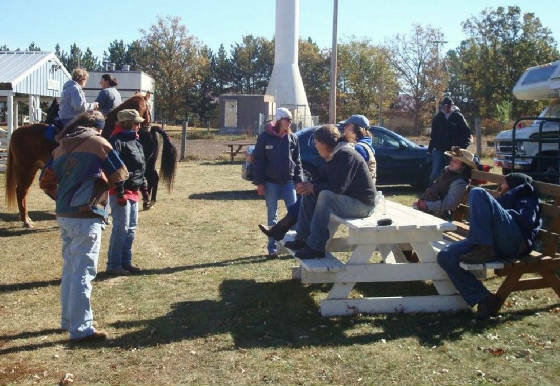 I also need to thank Ann, Jim, Randy and Kris, Minnesota Thoroughbred Rescue and the wonderful woman who came to my place of employment, for their cash donations as well as all of you who continue to give on a regular basis! Karen is much appreciated for her continual support of "Mr. Grey" , the Thoroughbred gelding with the bad feet. One of his front feet is now able to remain unbandaged so he is on the way to recovery! Tina and Leslie for the many bags of grain, Karen and Lois for the cash donations, Dan and Stacia, Gary and the Mudgetts for the badly needed large round bales, Chris and Cinch Chix for the bale saver, Kelly for the winter horse blankets and Megan, Kathy, Katrina and anyone I forgot, for the donated tack. You folks are so very much appreciated! Update Sept. 5: Behind again, this summer went by in a blur! I wanted to mention the people that really came through for us over the past few months. 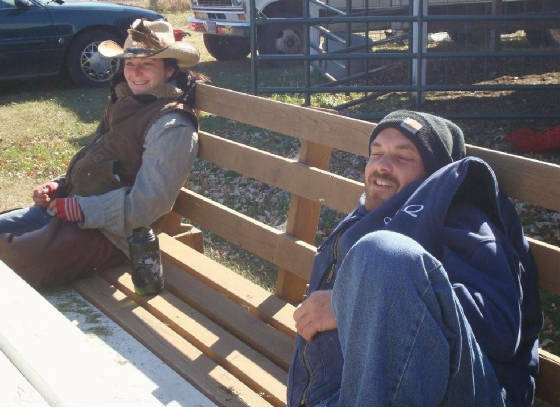 Ron and Karen donated trailerloads of hay from their separate farms and it couldn't have been more timely. I actually can go into this winter with feed in my hayloft. The two of you can't imagine the pressure that will be taken off of us when it gets tough this winter. Thanks to Donna for the fundraiser saddle, Buffy for the meds, Sandy and Kris and Ann for the cash donations. We so appreciate you thinking of us and the horses. We have sadly fallen behind in the recognizing of those who stepped up to help us when we needed it the most. I misplaced a list of some of those who sent us donations over last winter and hope you realize just how much each and everyone of them was sorely needed and put to good use. Thank you to all that helped us out. 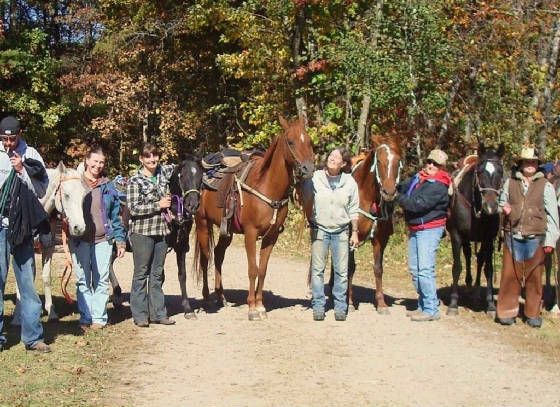 I also need to thank Ann and Tonia and Susan for going above and beyond in donating to the rescue as well as Dan, Alisha and Lena for always being there to help with the hands on work required to keep us moving forward. I had back surgery this past April and without help from friends as well as my daughter, Brook, stepping up the way she did, the work load would have become unbearable. Everything is back to normal now and I am back to doing what I love most, working with the horses! 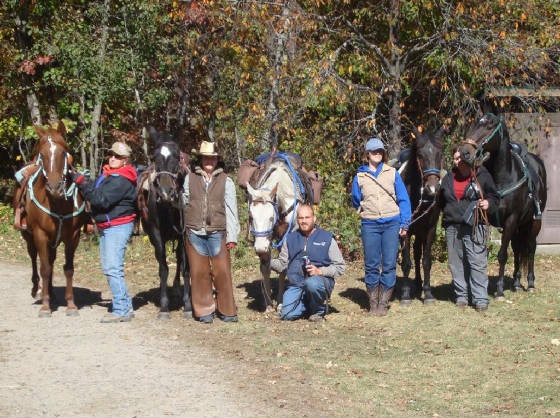 We'd like to thank Stan and Mary Mudgett for allowing us to use one of their pastures for a number of our horses this summer. Also for their hay donation, it couldn't have come at a better time.